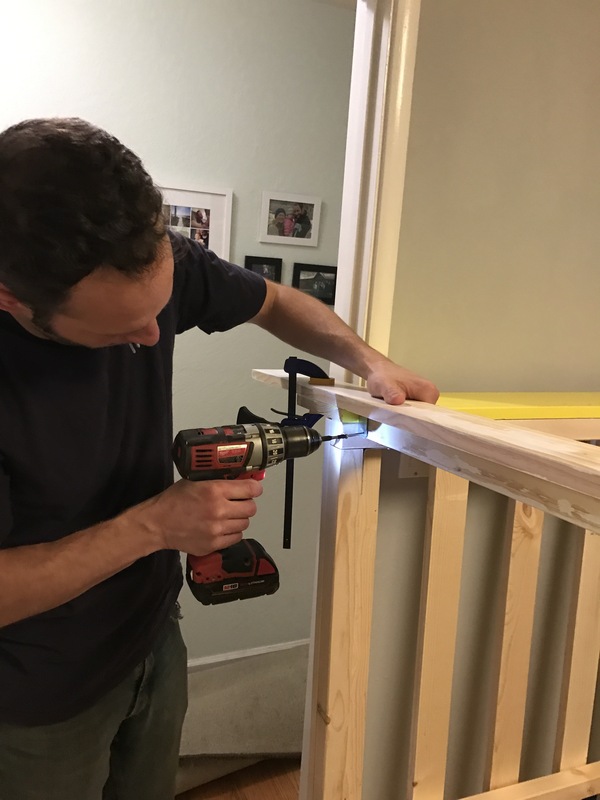 We’ve just had a full-sized mattress on the floor of our kid’s bedroom (really it’s just the playroom, shhhh) from the start. 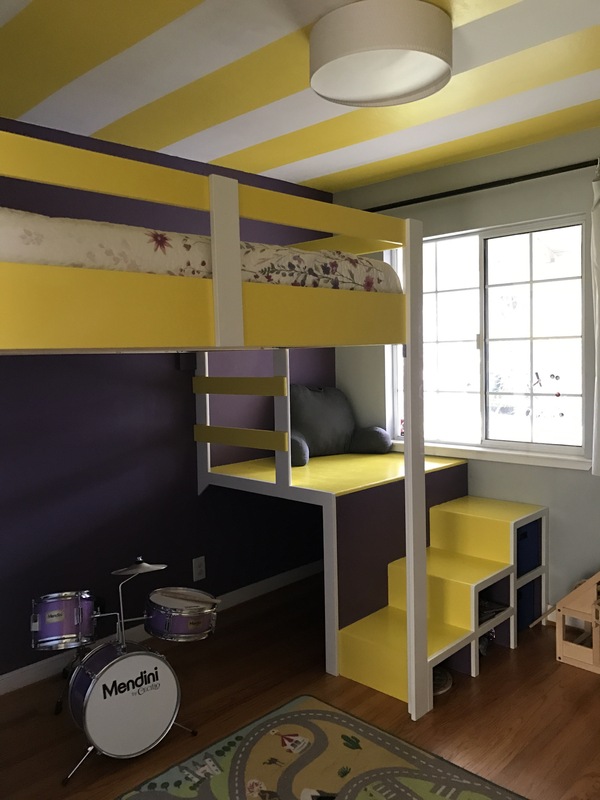 But I’m all about maximizing space, oh and I had a loft bed growing up so I’m sold on their fun-value. 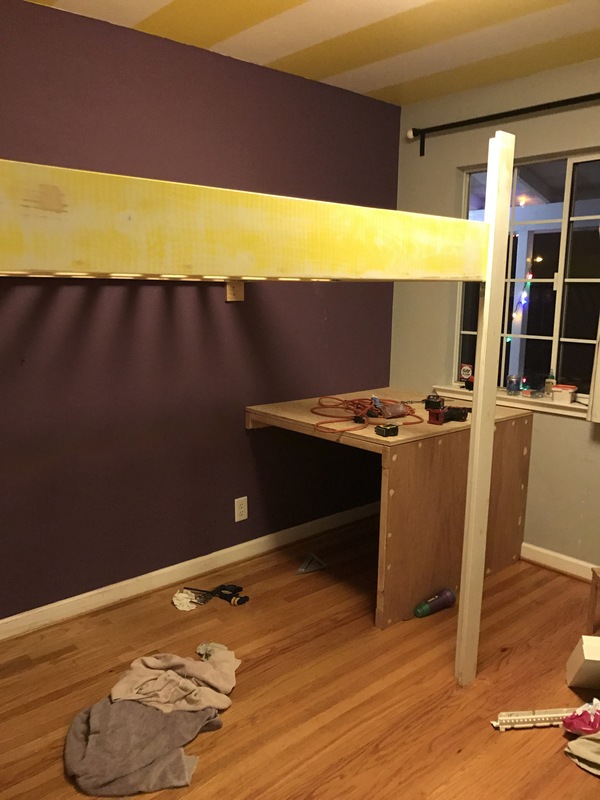 Thus the whirlwind decision to completely custom build a loft bed frame. And here it is completed!! 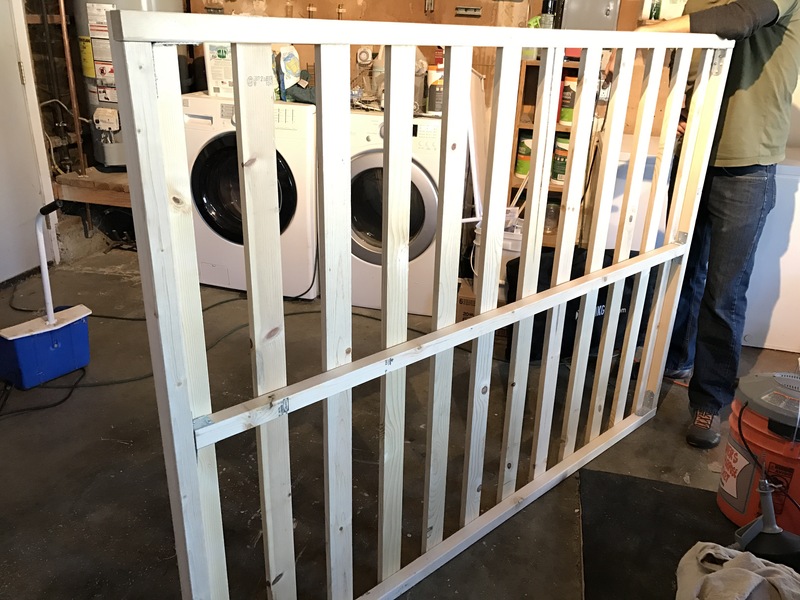 The room is pretty small, so I knew I wanted to save as much space as possible, with two sides bolted into the wall rather than freestanding on 4 legs. On the flip side I loved the idea of a hidey-hole and some different areas for playing and hanging out. 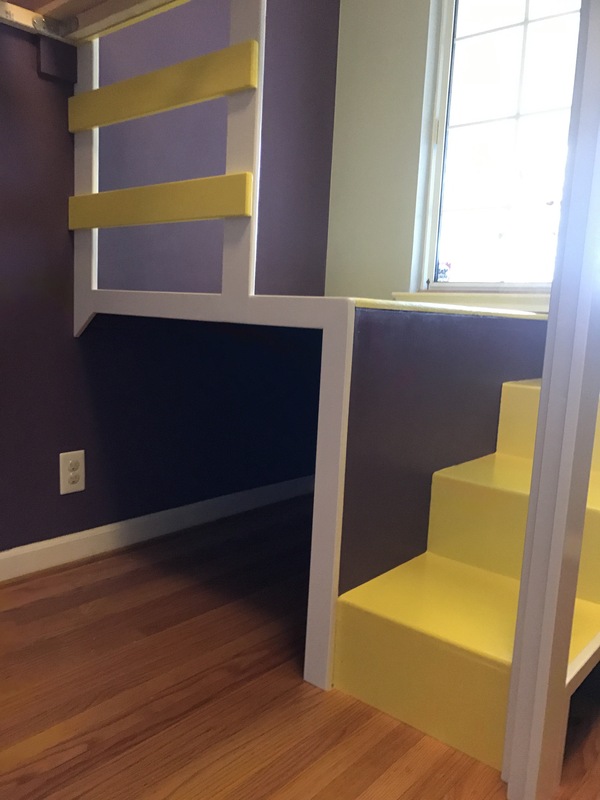 Thus the idea to have stairs leading up to a platform, and then just a short ladder going the rest of the way to the bed. 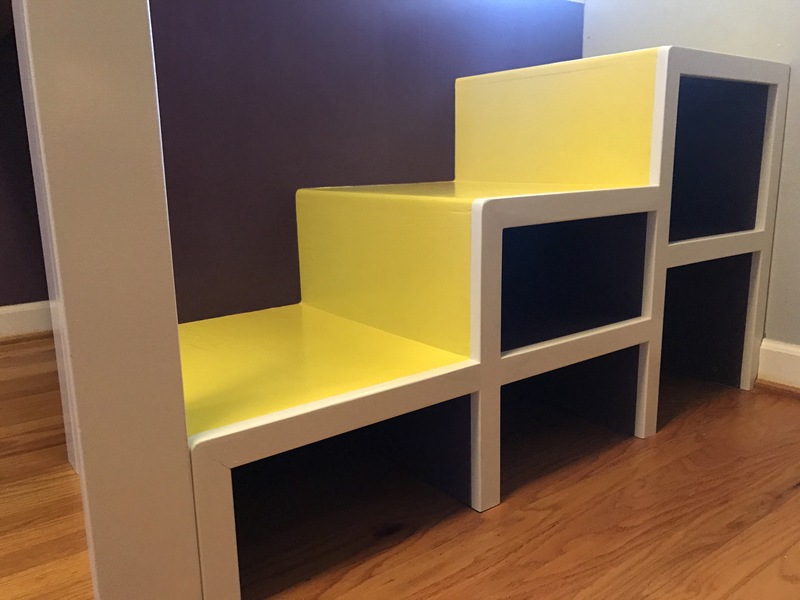 The stairs have storage cubbies underneath of course. And under the platform is the hidey-hole. I got some glow-in-the-dark stars for us to eventually add in there, and it could probably use some oversized floor pillows, but for now it’s just a blank slate. I scoured the internet and Pinterest for ideas on how to construct the whole thing. I got some great inspiration, but in the end I pretty much made it up as I went along. 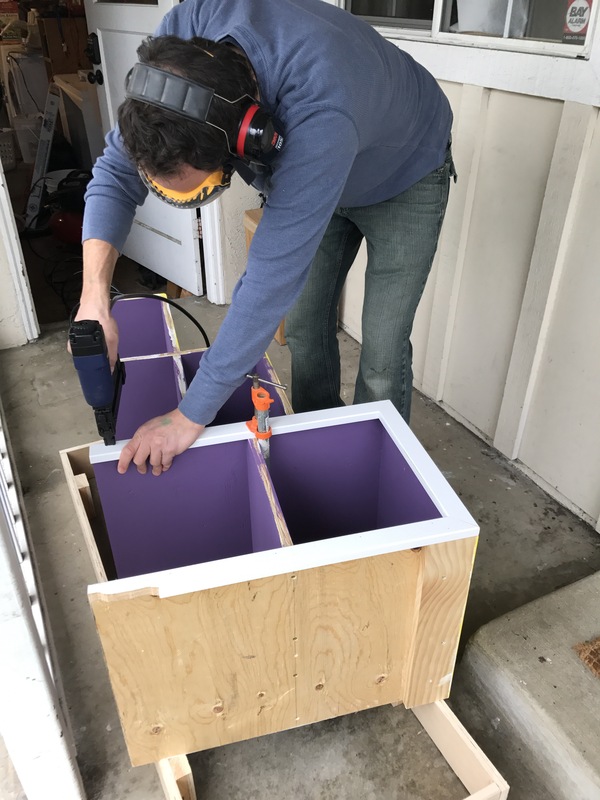 Here are a few progress shots on the construction, but honestly even contemplating writing up a full how-to is overwhelming, so I’ll pass on that for now. 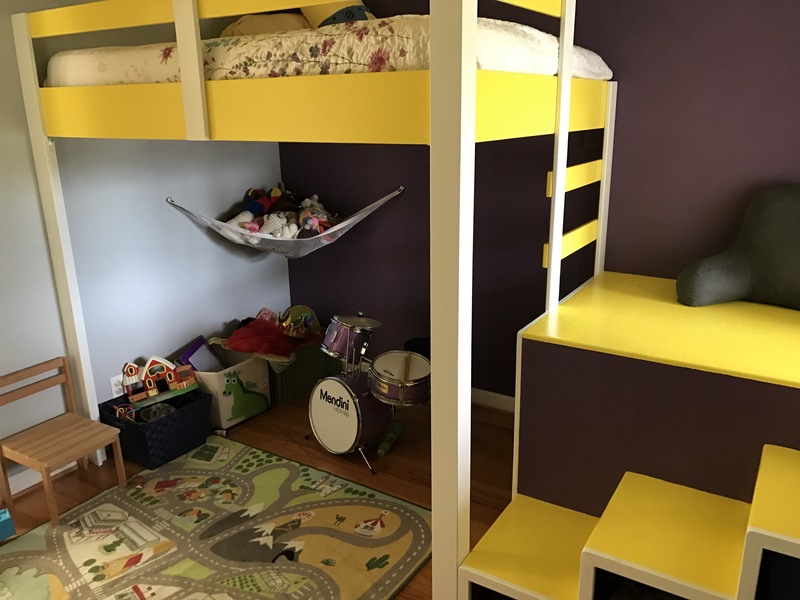 The room already had yellow stripes on the ceiling, but Dakota loves purple. That back wall used to be a dark gray, but it was in need of some major touch ups before we started this project. 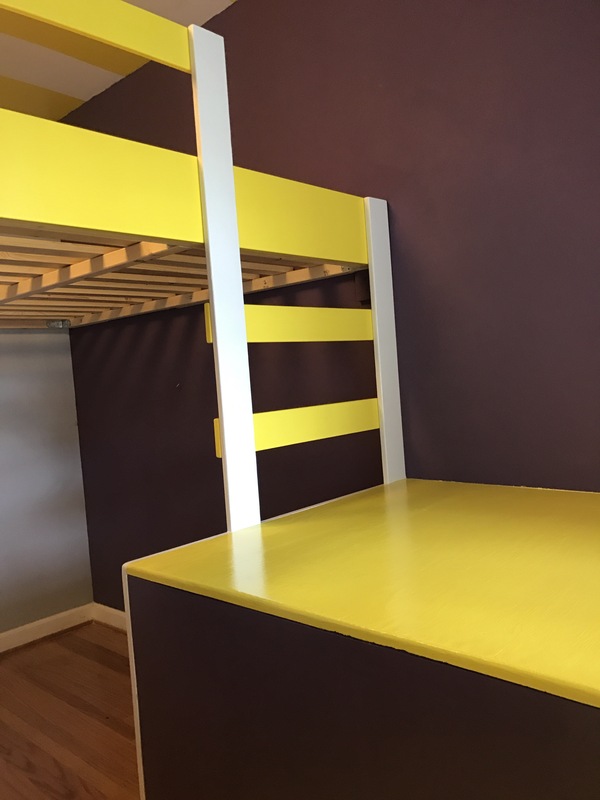 So we decided to keep it dark but repainted it purple instead of gray, and then worked the yellow, purple, and white in for a super-colorful piece of construction! I just plopped the road rug and some existing toy bins down for now, I guess we’ll see how this space evolves over time. 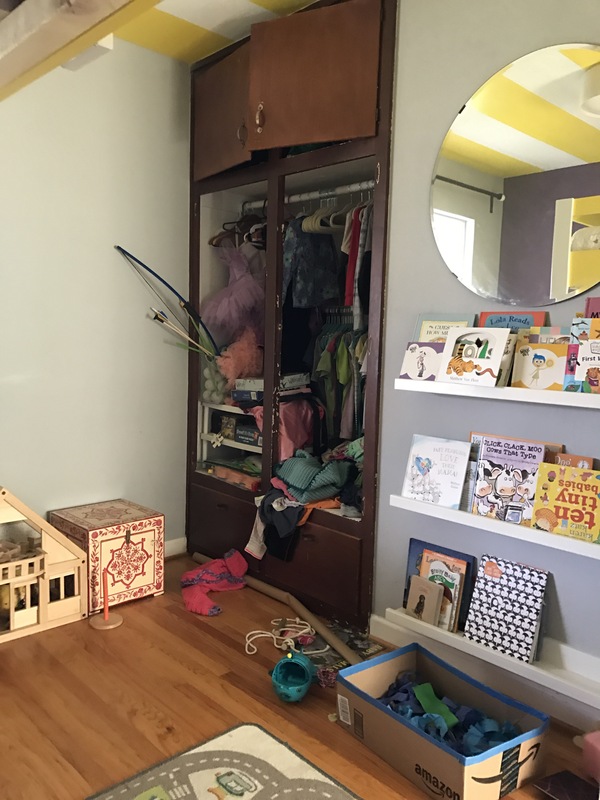 Maybe some shelves or a small art table? The one thing for sure that needs to happen is some new lighting. I’ve already bought a flush mount ceiling light to replace the current drum shade, and we’ll probably get some sort of tube or twinkle lights for under the bed and inside the hidey hole. 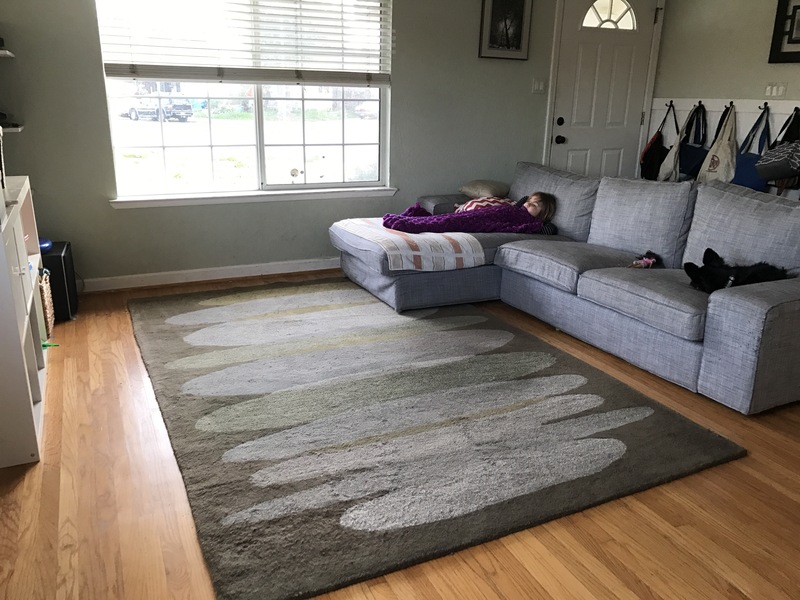 Bonus: the big green rug that’s been in there forever doesn’t fit anymore (it’s probably for the best because despite being very high quality, it really didn’t match the yellow and purple) so we’re trying it out in the living room. I’m expecting it to be ruined in short order like all our other living room rugs, but who knows? For now it looks great.